COME ALONG AND TAKE A RIDE ON THE TIMBA MOB BUS - SAN DIEGO STYLE! Ryan & Sidney will be leading your flash mob experience, and YOU will not want to miss this! If you attended the San Diego International Cuban Dance Congress, then you know how much FUN this is going to be! Casineros we will be on board an open top double decker bus touring San Diego stopping and preforming flash mob ruedas at various locations. The ride will cost $15 pre sale and $20 day of ride. To save you $'s on ticket fees, this is a cash deal and can be paid directly to myself or Maritza. We have added ability to take credit card online, which has a service fee. See link on this event. You MUST be on the going list before June 1st. Contact us here to arrange payment. Drinks (water, Cuba Libres, mojitos & beer) will be provided. We are limiting the capacity to 60 casineros/riders. If we get more than 60 people interested, we will have a wait list and can look into scheduling another bus, which will double the FUN. We will need another 40 riders to obtain another bus. If you select the GOING button, this is your commitment to ride! First come first serve basis. Please do not select the GOING button if you are actually NOT going. This is not fair to others that want to ride and experience this fun event. 3:00-3:29 pm - Arrive at the Movement Dance Center, board the Timba MOB Bus and have a GREAT time touring San Diego dancing Rueda, Rumba, Conga with current & new friends! 3:30 pm - The bus is leaving, promptly! It's BACK!!!! Last Friday of the moth Timba, Casino, and Rueda de Casino part!!! WHEN: Saturday, May 26th. 9pm - 1 am. 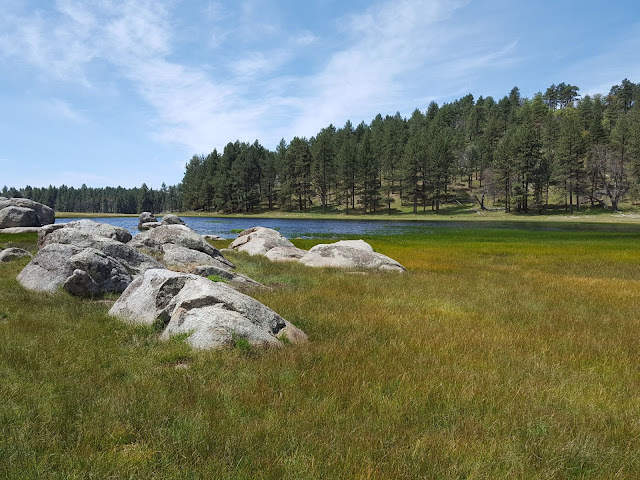 Grab your hiking boots and your moves, and JOIN US! Let's get out in nature and do some ruedas. FYI! This is the longest trail we are hiking compared to the other ones we have done. This is a roundtrip 10-13.3 miles! So bring extra water and snacks. We will stop somewhere to eat afterward in Julian. WHAT: Hiking and dancing rueda de casino any chance we get! Come support and cheer our new EscoRueda Performance Group where we will be performing at the Concert Hall Theater for Tierra Caliente's annual dance recital titled Ticitozaa. Our group will be one of many performances. This is also a fundraiser for Tierra Caliente Academy of Arts where they offer access to the local community in learning all the many forms of art (dance, music, singing and acting). Maritza has a new dance team learning intermediate-advance rueda moves that have not been used in a social rueda scene. Come see what she has choreographed this time. Her performance group is made up of students from her most recent cohort of dancers. Tierra Caliente Academy of Arts Recital will showcase the development of our students in the discipline of dance. It is important that we expose our community and youth to music, dance, theater, art and more while teaching them the value of respect for the cultural arts. This is made possible thanks to the support of the California Center for the Arts, Escondido. Your support will not only motivate our students to keep working hard but will create funds for costumes, scholarships and more events for the community. May's installment of Casino on Grass is a brand new location with an awesome view! I went there in person to check it out. It looks really cool! Great view of the ocean. Come dance casino, rueda de casino, Cuban salsa suelta at Del Mar's Powerhouse Park on May 12th. It should be a gorgeous sunset while we dance. 1700 Coast Blvd, Del Mar, CA 92014PARKING: there is street parking or parking across the street - there is a fee to park there so bring change. HOW TO PREPARE: Bring beach chairs, blankets, clothing layers as it gets colder at night, cameras, snacks and hydrating drinks to keep the dancing going. It's going to be picnic weather. 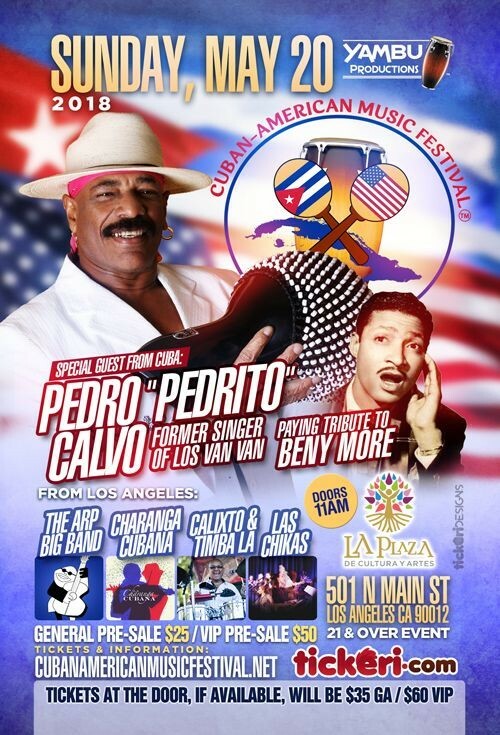 La Plaza de Cultura y Artes, in conjunction with Yambu Productions, has designated Sunday, May 20, 2018 an annual Cuban-American Music Festival. The festival will be a regional destination event that features four musical acts, dancing, local Cuban Artists, Cuban Food and drinks. The festival will take place at La Plaza de Cultura y Artes in downtown LA. This will mark the second time a successful Cuban festival will be held at a museum. Show starts at 12 noon. We will be celebrating MAY BIRTHDAYS! - Let us know it's your birthday month and you receive FREE entry and one drink. San Diego's Cuban Dance Xperience is happening either the 1st or 3rd Saturdays every moth depending on holidays and other events. We are aiming mainly for the 3rd Saturday of each month as there seems to be less conflict. Cachito y su son Live music every first Thursday - Thurs. May 3rd. A GOZAR y A BAILAR with RUMBANKETE live at CURUYE’s MAY CUBAN SALSA TIMBA DANCE PARTY! DEEJAY WARAPO keeping the flow happening with the latest dance beats from the island, and YOU and your friends SMOKIN’ the DANCE FLOOR! 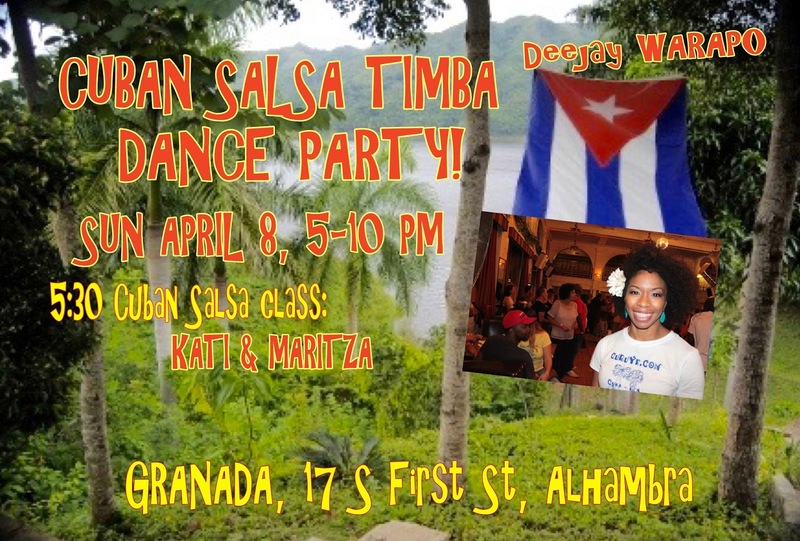 To add some spice and funk to your salsa free styling, KATI HERNÁNDEZ (Cuba) & DUANE WREN (Detroit) will be kicking off the party with an AFRO TIMBA (Afro Cuban ‘salsa suelta’) class. 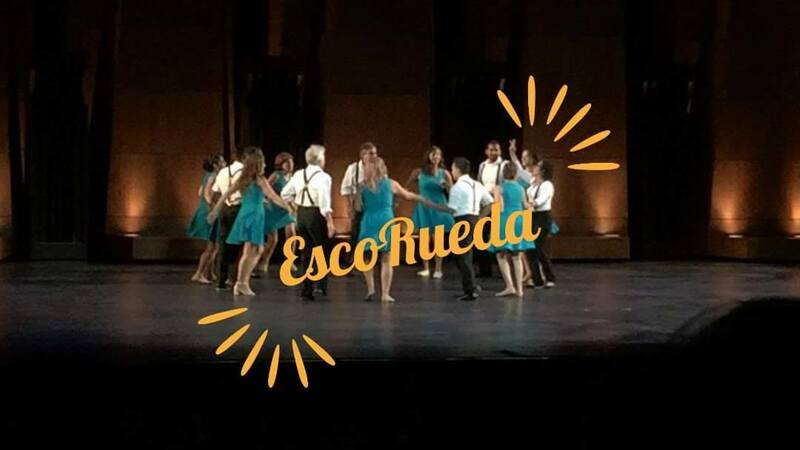 You’ll have a chance to meet up with participants of LA RUEDA QUE SE MUEVE, the encuentro of San Diego casineros (Cuban salsa lovers) with L.A. casineros who will be groovin’ in on the fun! Check with Maritza Baída & Kati Hernández for the Saturday Rueda Que Se Mueve classes. We’ll be celebrating MAY BIRTHDAYS with the birthday dance, and some cake! MARiTZA BAIDA, ROCÍO ALONSO, TIM SNEDEKER are among the birthday peeps this month! Chef Israel has a varied menu from tasty salads, wraps, and sandwiches to delicious entrées: perfect for fueling hungry dancers. Consider sharing a meal with your friends at The Granada! WHAT: $15 cover includes dance class and the live music! All ages welcome! FREE PARKING in the structure across the street from the Granada! HELP SPREAD THE WORD! SEE YOU ON THE DANCE FLOOR at The GRANADA! Live music with Cachito y su son (evening) - Saturday, April 28th. More LIVE music with Cachito y su son Cubano! After playing at the Linda Vista Multi-Cultural fair in the afternoon, they will be playing in Carlsbad for dinner time. 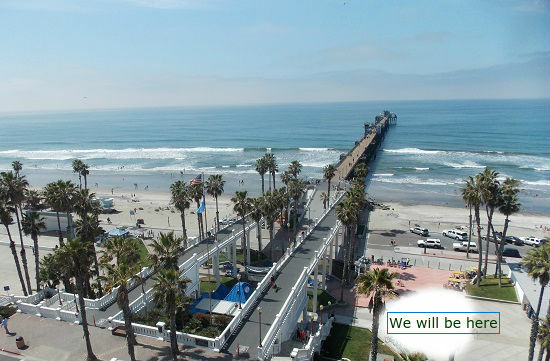 Then drive down the coast to Pacific Beach for La Noche de Timba! WHAT: Dinner and dancing in Carlsbad. WHEN: Saturday, April 28, 6:30 pm to 10 pm. Come enjoy the live music of Cachito y su son Cubano, with selections from the Salsa Mocambo repertoire. 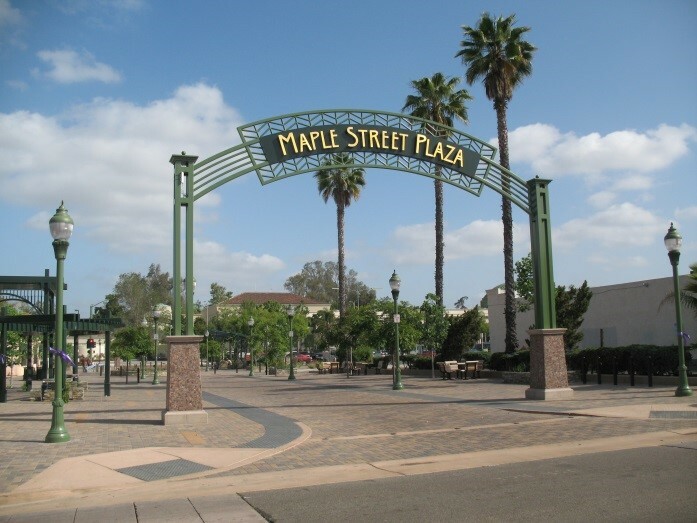 12:30 - 1:30 pm at the 33rd Annual Linda Vista Multi-Cultural Fair and Parade! WHEN: Saturday, April 28th. 10 pm - 1 am. The RUEDA QUE SE MUEVE PROJECT COMING TO L.A! Maritza Baida & Kati Hernandez are excited to be hosting the 4th of many Rueda Que Se Mueve weekends. Thrilled to have the amazing DUANE WRENN all the way from Detroit, DJ WALT DIGZ of San Francisco joining forces with these two dynamic ladies. WE YEP, YEP, WE WILL BE CELEBRATING MARITZA'S BAIDA B-DAY!!!! Be ready for a full weekend of Live Rumba/Casino/Rueda de Casino/Cuban dance styling workshops, rueda games. food, dancing and bonding with our vibrant community. COST: Click this link to purchase your tickets for workshops, dance party or full package. Cuban body movement and musicality drills for social dancers; Ladies/Men's styling for Casino social dancing. Following and Leading technique. Cleaning up and spicing up your basics. Casino partner work - New moves & combinations. Adding the Cuban flavor such as rumba and mixing casino with rumba. 3:30pm - 4:00pm Workshop #3 - Finding the Beat Without the Numbers - a musicality discussion and lecture with acclaimed Cuban base player Yosmel Montejo. Recognizing the clave through the sound of the base. Breaking rueda into LEGO parts. Fun rueda moves. Adding elements from the previous workshop. Strengthen your memory play rueda games, create new moves with basic casino moves; make up your own moves! 7pm - 8pm RQSM Chill Room - After all the workshop, let’s “chill” together…. in the Chill Room and bond together in a relaxing space. Take a nap, rest, stretch, relax, have some tea, do some yoga before the party. Bean bags, pillows, blankets, yoga mats & tea provided. 8pm - 1am CUBAN DANCE NIGHT PARTY. DJ Walt Digz all the way from San Francisco & DJ Warapo, MC Yussef Breffe Rodriguez. WE WILL BE CELEBRATING & Maritza’s Birthday Party!!! The last Hike-n-Rueda of April, but more to come in May! 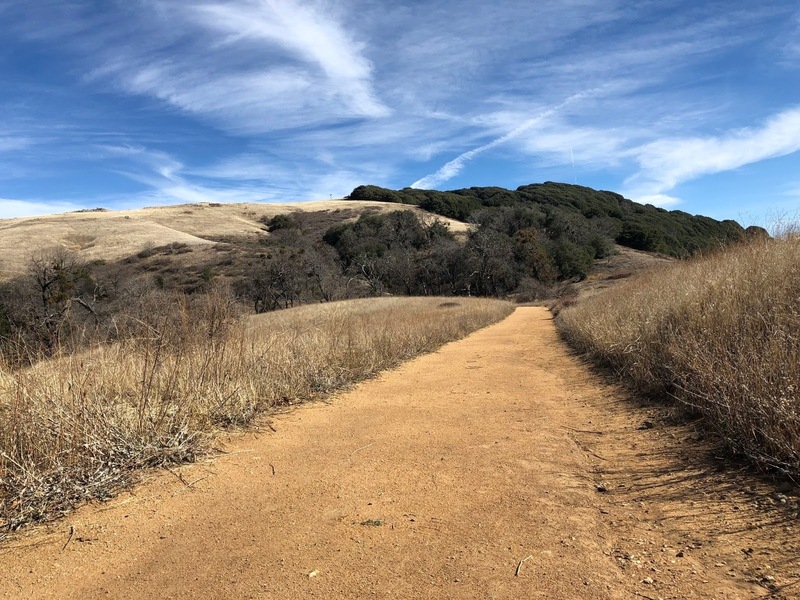 Grab your hiking boots and your moves and JOIN US! Let's get out in nature and do some ruedas. We will be celebrating APRIL BIRTHDAYS! - Let us know it's your birthday month and you receive FREE entry and one drink. Live concert of three next-gen jazz artists from Cuba, featuring Afro-Latin percussionist-singer Pedrito Martinez, vocalist Daymé Arocena from Havana, and pianist Roberto Fonseca. LIVE in concert -- Ibeyi, are 20 years old French Cuban twins, Naomi and LIsa-Kainde Diaz. They are daughters of the late Cuban percussionist Angá Diaz. Naomi plays percussive instruments, the Cajon and the Batas, while Lisa-Kainde plays piano. Together the twins sing and combine modern pop, hip-hop and electronic influences with the traditional sounds of their father's Yoruba culture. Going back to regular scheduled Friday rueda practice locally, we are meeting up at Oceanside Pier to practice the moves I taught on Tuesday's Level 2 Beginners class this week. These are the moves that would be in the Flashmob tomorrow, so if you are going to the be in the flash mob, this is your one chance before tomorrow's official rehearsal to learn the moves for beginners. Come for the fun of it. We will have a great time dancing outside. CURUYE's APRIL 8 CUBAN SALSA TIMBA DANCE PARTY! SEE YOU ON THE DANCE FLOOR SUNDAY, APRIL 8 for CURUYE’s CUBAN SALSA TIMBA DANCE PARTY! 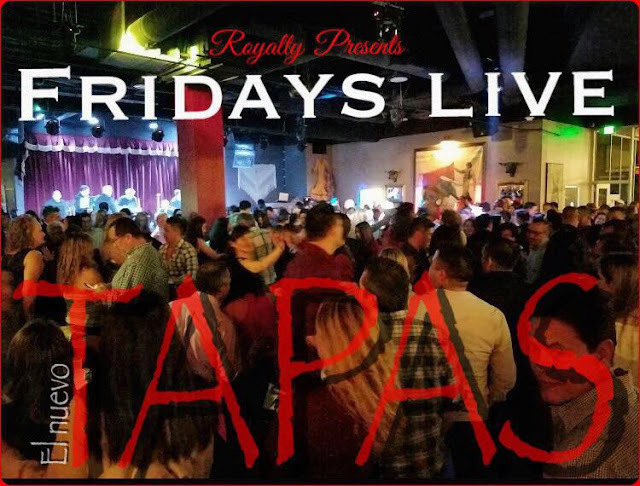 DEEJAY WARAPO is fresh back from La Habana where he was invited to dj at MAYKEL BLANCO’s CUBAN SALSA FEST, so you know he’ll be playing the very latest & hottest CUBAN DANCE MUSIC for our dancing pleasure! Back by popular demand, KATI HERNÁNDEZ and MARITZA BAíDA will be teaching a CUBAN SALSA (‘CASINO’) dance class to kick off the party at 5:30 PM. Throughout the night we’ll be dancing to CUBAN SON, SALSA, TIMBA, REGGAETON, & RUMBA! We’ll be celebrating April as well as March birthdays this month, so message Curuye if we can put your name on the cake, and plan on including you in the birthday dance! Celebrating so far are ZEAL HARRIS, BRIAN MARTÍNEZ, KENNY WILLIAMS, and MATHIEU VEDEL who will not only be celebrating his bday, but some special news as well! Be sure to try an entrée or snack from Chef Israel’s kitchen!